Is this the original American 'Solicitor from hell' who is a 'Solo' operator who clearly needs help to check she gets her facts right. Clients of this 'One man Band' (sorry Woman) should be aware that her information collecting skills are suspect which led to her telling lies that could end with a 'Defamatory' law suit if she/they/ are not careful, especially when accusing somebody of "Extortion". 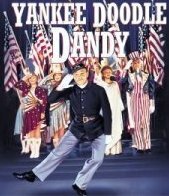 - - ----- This Yankee Doodle Dandy 'Solo' needs a wide birth. Principal Attorney with the Law Offices of Carolyn Elefant (LOCE) in Washington D.C. I am the owner of "Solicitors from Hell.com" and it has come to my attention that since January 28, 2010 for over a 2 month period there has been content on your website (MyShingle.Com) telling outrageous lies that I make a charge by inviting disgruntled solicitors clients to share their complaints on my website and I use "Extortion" to gain money. I do admit that Richard Hegarty of Hegarty & Co and Chair of the Law Society Compliance Board called me a "Disgruntled Complainant" and in turn I now refer to him as 'Dickie the Chair'. You have accused me of 'extortion' by making a charge to solicitors to remove their names from my website, if as you refer that I am publishing defamatory content you now need to supply me with the evidence of this 'crime' if that is what it is and that I am doing what you say I am doing. Please remove these lies about me immediately and print an apology, you are welcome to keep a link to my website and by way of compensation I would expect a fair and accurate account of what is on my web pages and what it is about including making it clear that I receive no monies and make no charges what-so-ever in relation to my web pages. As an Attorney at Law who doesn't get her facts right tells blatant lies about somebody that they don't know based on second hand information that they gained and failed to investigate that information including the fact your attention to detail that is read by you is incorrect. Just how do you expect your clients to have faith in you to gain correct and accurate facts, read documents correctly and not to tell lies because you failed to see what is written?? Let me quote from your website; "...LOCE continues to flourish because of Carolyn's unwaivering commitment to excellence and superior client service". Please see below the false content you have on the Internet about me. PS I do not apologise if I sound annoyed, because I am very 'annoyed'. "So, you thought that Avvo's rankings system was bad? (for the record, I don't). Well, if you did, be glad that you don't practice in the UK where you'd have to deal with Solicitors from Hell.com, a website that invites disgruntled clients to share their complaints about solicitors and law firms, with postings appearing on Google within 24 hours. So how does the site make money? Extortion. According to the Law Gazette, firms can pay £299 to have all current and future traces of their name removed from the site or pay between £99 and £199 to have specific postings deleted."